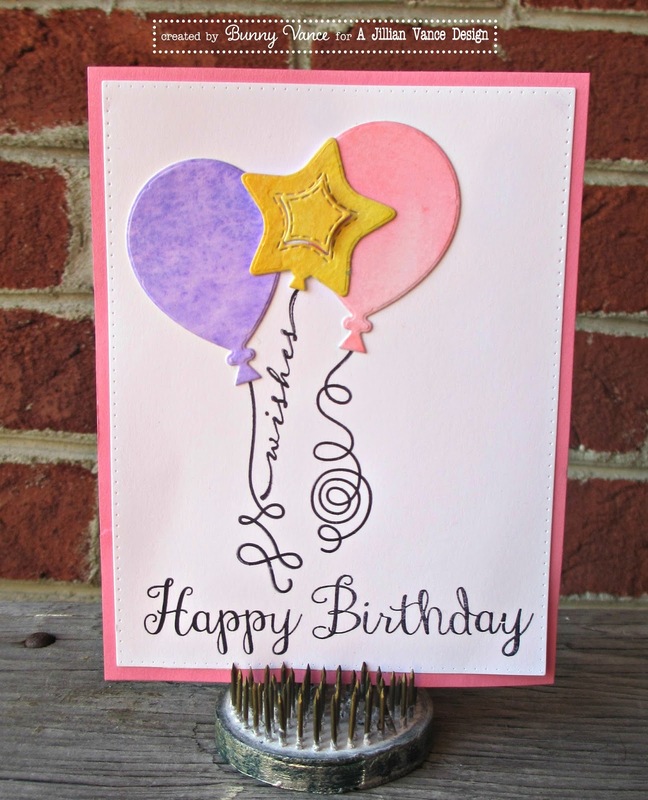 A Jillian Vance Design: Happy Birthday Balloons! 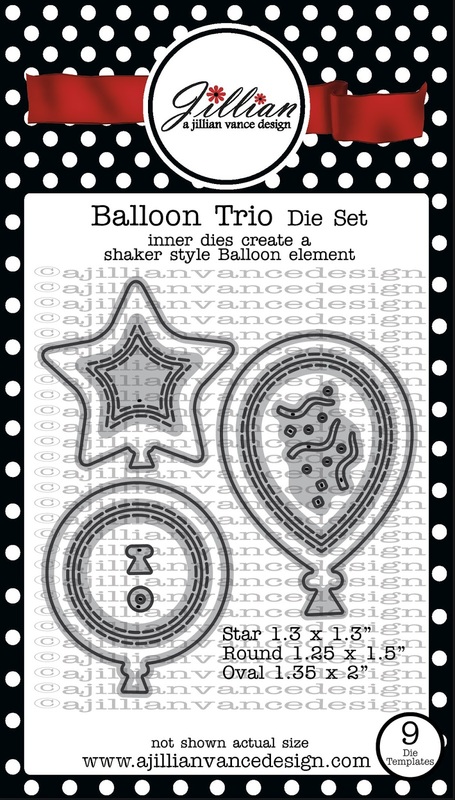 Today we have another new A Jillian Vance Design Stamp set and Die Set! 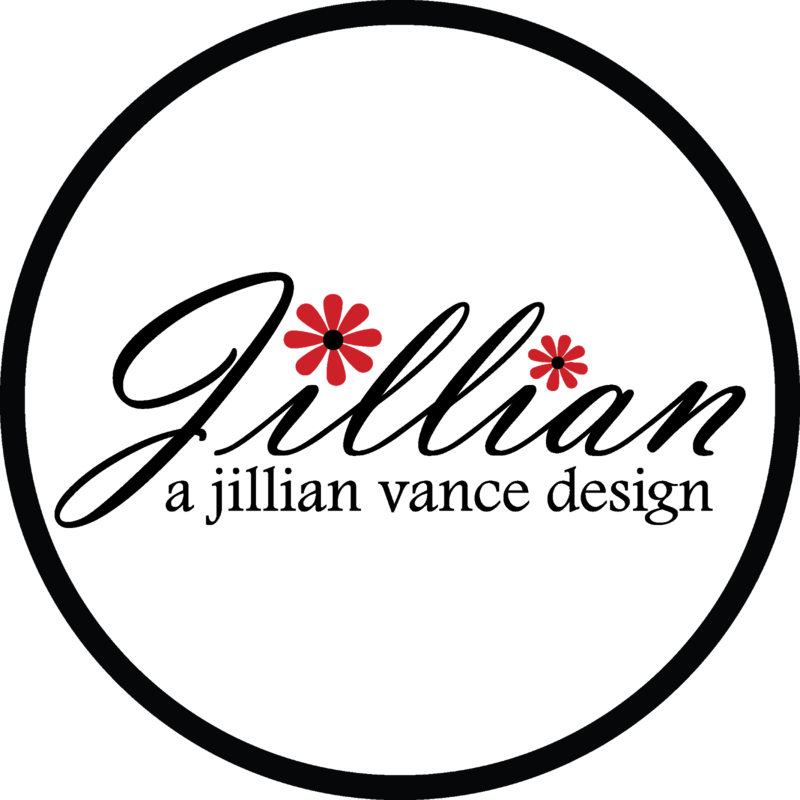 These are going back to basics that can be used in so many ways! The Balloons are not just for Birthdays but Graduations, anniversary, party invitations, baby celebrations and many more! 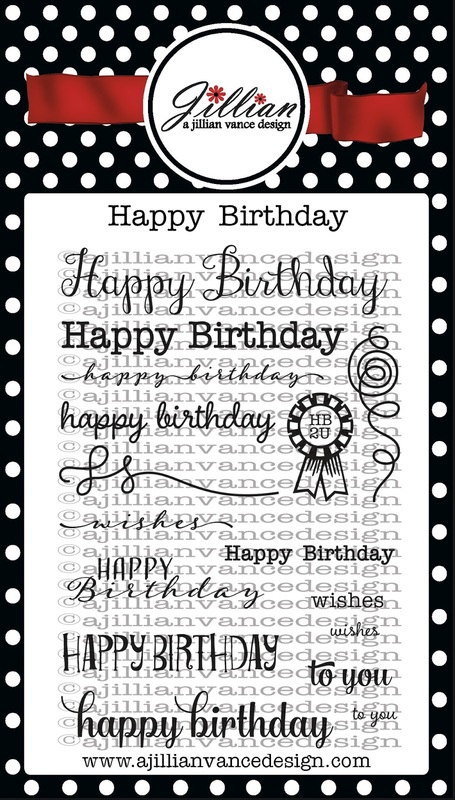 Happy Birthday Stamp Set features Happy Birthday done several different fonts along with balloon strings! You decide which one fits your style of card! I have wanted to try water coloring and just hadn't taken the time! Then the generous people at Crafters Companion sent us Spectrum Aqua markers and OH MY we are in love! I used them by coloring on a stamp block, then using a water brush, just colored the watercolor paper. I then die cut the balloons for a gorgeous varied effect! And Easy Peasy too! These stamps and dies are in stock and shipping! 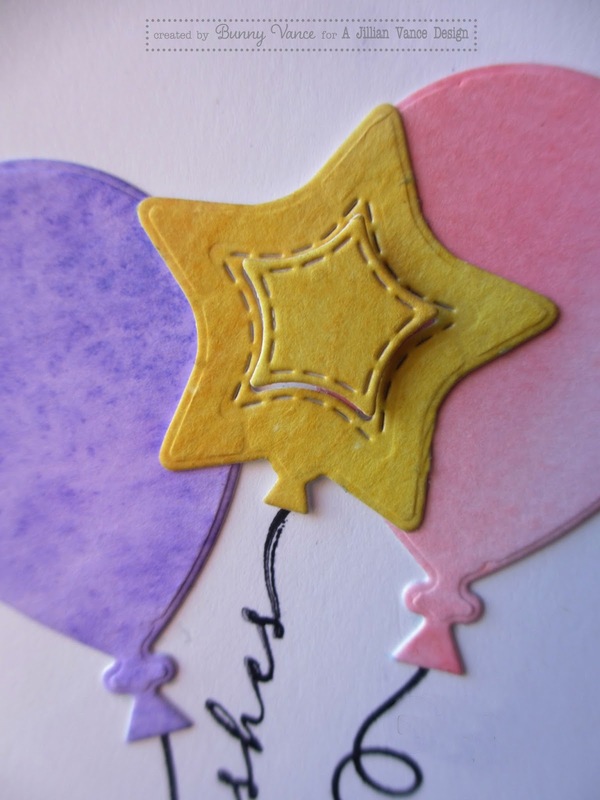 For my card after water coloring I die cut the balloons and decided to "pop out" the center of the star one. Using a Scrapbook Adhesives 3D Foam square. 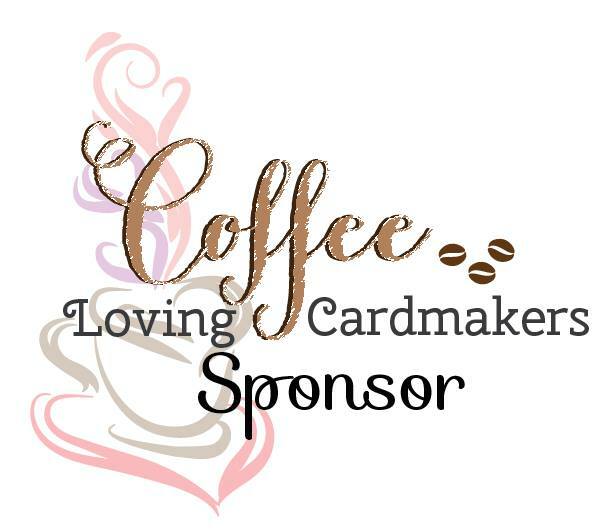 This is a fun, quick and easy card! Enjoy! oh how cute... love those balloon dies! Such a fun balloon bouquet!